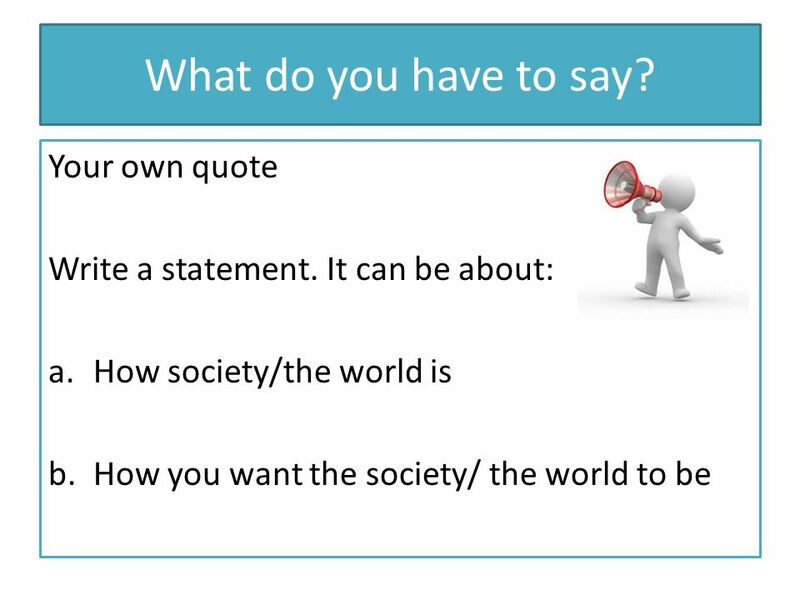 PowerPoint 2 Lesson Plan 1: What matters to us?. 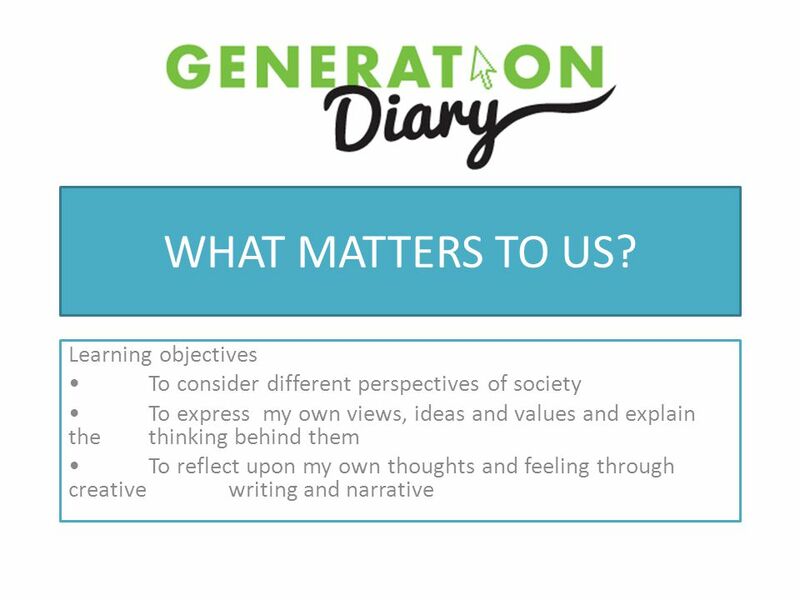 WHAT MATTERS TO US? Learning objectives To consider different perspectives of society To express my own. 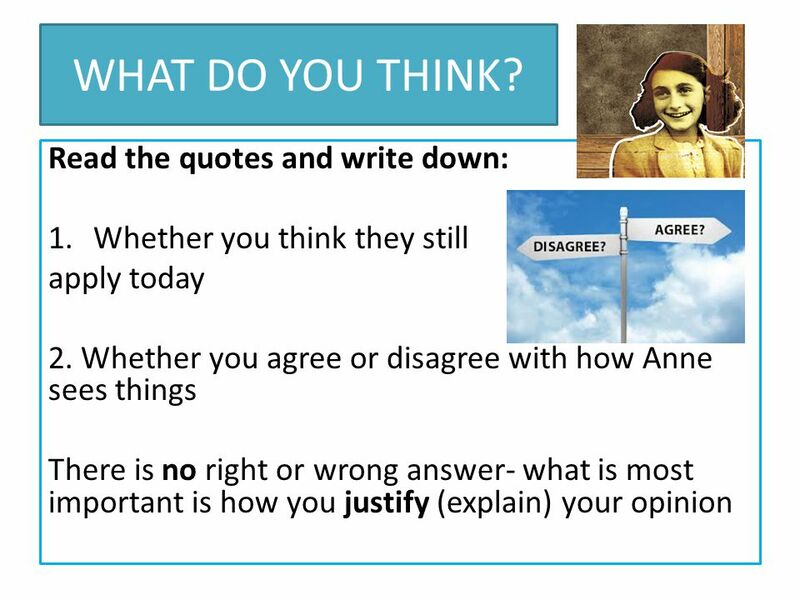 1 PowerPoint 2 Lesson Plan 1: What matters to us? 5 Can you think of a situation you found difficult or challenging? Felt you have been treated unfairly? Or a been misunderstood? Write a short diary extract about it. 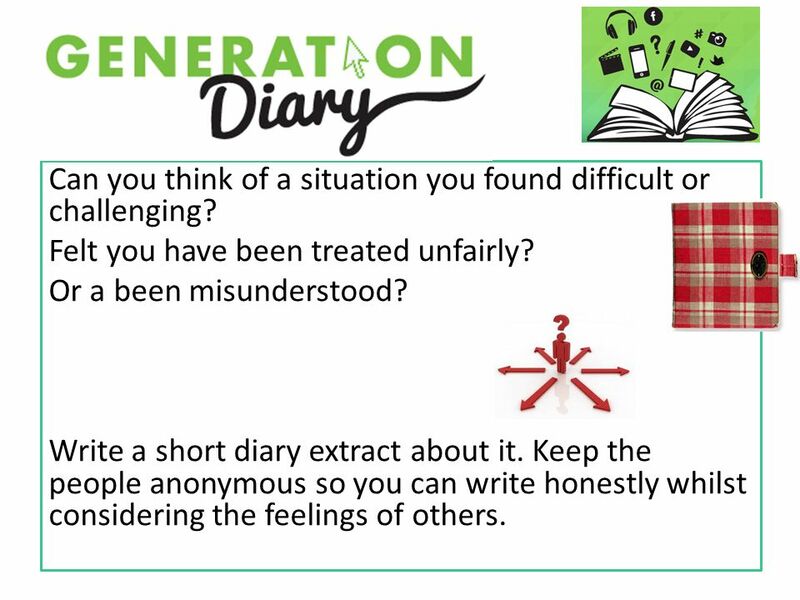 Keep the people anonymous so you can write honestly whilst considering the feelings of others. 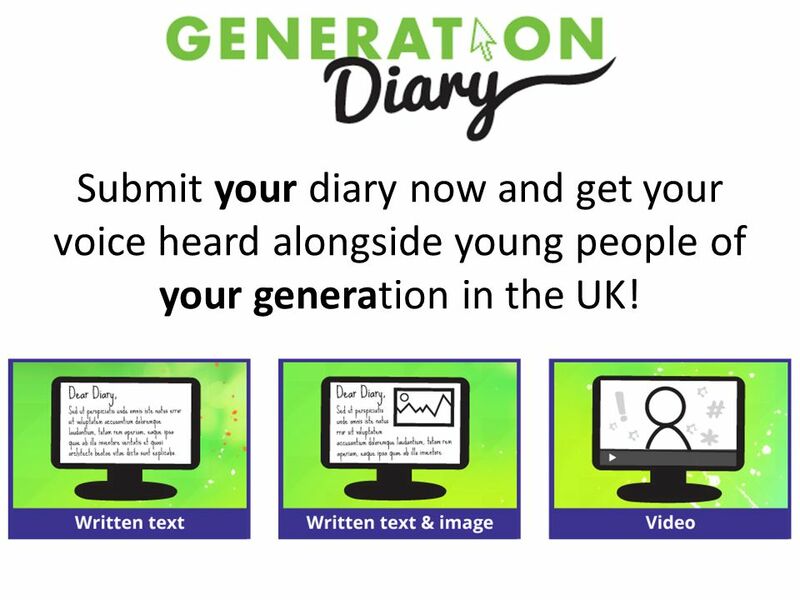 7 Submit your diary now and get your voice heard alongside young people of your generation in the UK! 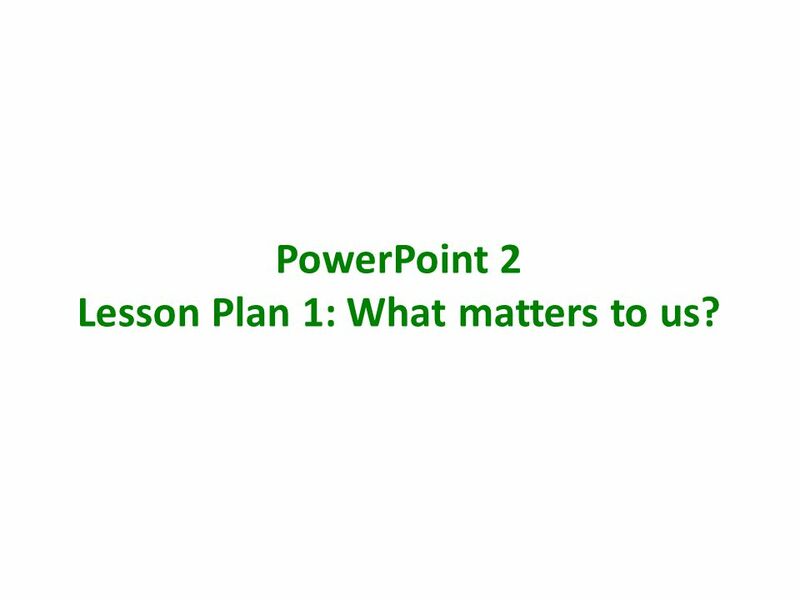 Download ppt "PowerPoint 2 Lesson Plan 1: What matters to us?. 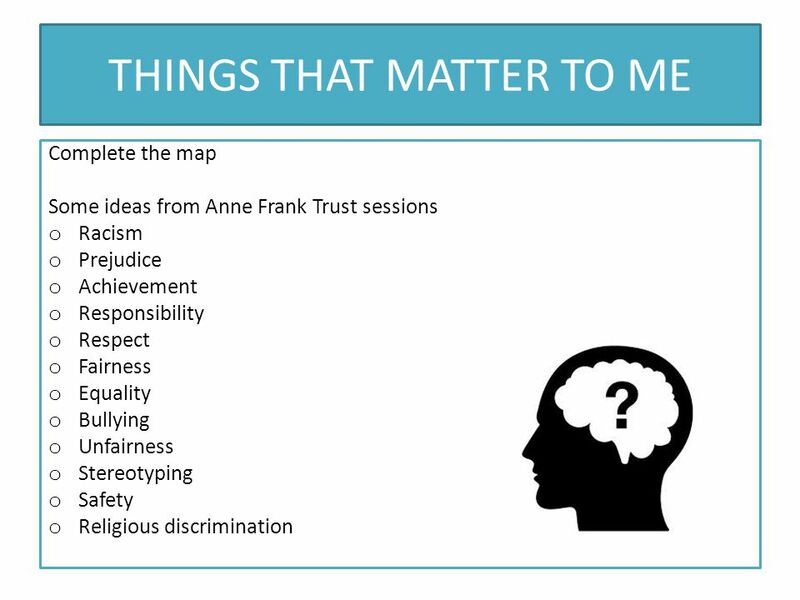 WHAT MATTERS TO US? Learning objectives To consider different perspectives of society To express my own." Lesson 12 Taking action. Note to teacher These slides provide all the information you need to deliver the lesson. However, you may choose to edit them. Would you rather be “someone” or make a difference? D e b r i e f i n g DEBRIEFING Reflecting on our experiences of the workshops and how they relate to our lives!  To find out about a time in recent history when the Jews were persecuted for their religious beliefs. ‘Despite everything, I believe that people are. How to Write Thesis Statements October 15, Thesis Writing How to Generate a Thesis Statement if the Topic is Assigned. Almost all assignments, no. Directions: 1) Read the statements on your handout. 2) Place an X or a √ next to the statement with which you agree. Write these marks in the column labeled. Libya ArabTrans Study Generally speaking, do you think most people are trustworthy or not? Blogging Session #3 June 3 rd,2010 Where do we go from here? You must complete ALL of TASK FOUR in the homework booklet – your teacher will give you a completion date. Complete page 60 of your SPAG BOOKLET – this. Bully Free Freshman Class Session 3 Today all students will: Discuss reasons bullying must be stopped. Discuss the concepts of community and unity and.